Join World Denver and The City Club of Denver on October 15th for a luncheon with Reza Aslan, author of New York Times #1 Bestseller, Zealot: The Life and Times of Jesus of Nazareth. His appearance at this event is his exclusive book tour stop in Denver. Don’t miss it! He has gained world-wide media attention since his book hit shelves in July. Aslan will speak about Zealot and welcome questions from the audience during a Q & A session. Aslan will sign copies of his books: Zealot, No god but God, and Beyond Fundamentalism: Confronting Religious Extremism in the Age of Globalization, all of which will be for sale at the luncheon. There is limited seating for this event, so register soon. 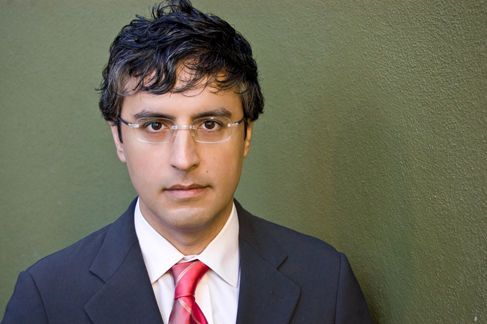 Dr. Reza Aslan is the founder of AslanMedia.com, an online journal for news and entertainment about the Middle East and the world, and co-founder and Chief Creative Officer of BoomGen Studios, the premier entertainment brand for creative content from and about the Greater Middle East. In addition he is President of AppOvation Labs, a mobile applications company. Aslan's first book is the International Bestseller, No god but God: The Origins, Evolution, and Future of Islam, and has been translated into thirteen languages, and named one of the 100 most important books of the last decade. Born in Iran, he lives in Los Angeles with his wife (author and entrepreneur Jessica Jackley) where he is Associate Professor of Creative Writing at the University of California, Riverside.